A new UNISON film, featuring former Dynasty actor Stephanie Beacham, takes a tongue-in-cheek look at why the government should give teaching assistants, paramedics, refuse collectors and other public service workers a pay rise. The two-minute satirical Pat on the Back film highlights the government’s hypocritical attitude to public servants – commending their dedication and hard work, yet refusing to lift the public sector pay cap, says UNISON. But behind UNISON’s spoof film is a serious message. Low pay not only harms individual employees and their families, it means services are run down as staff desert the public sector in search of higher wages. Stephanie Beacham said: “I wanted to do this film because I find it deeply unacceptable that public service staff who keep us safe, look after us when we’re ill and keep our local services running haven’t seen a pay rise in seven years. UNISON general secretary Dave Prentis said: “Giving public service workers a pat on the back isn’t going to put food on their table, petrol in their cars or pay their bills. “Government ministers have been quick to praise public servants, but slow to appreciate the financial strain their harsh pay policies are putting on households up and down the country. 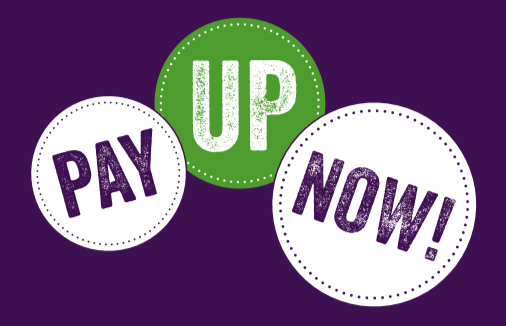 With over 140,000 signatures, UNISON’s petition ‘Pay Up Now! – Scrap the pay cap and give public servants a meaningful pay rise’ will be debated in Parliament on 4 December. The petition is available here.